In the first part of our series on whether or not electric vehicles (EV) are safer than comparable gasoline cars, EVs seem to beat traditional cars at least on paper in terms of drivetrain layout freedom. Given that the overall appearance of electric cars typically isn’t a dramatic departure from gas/diesel vehicles, normal people probably have no idea how this new vehicle layout can be so different, but it can. We’re going to look at another aspect of electric cars’ greater flexibility and superior design in this piece — structural benefits. 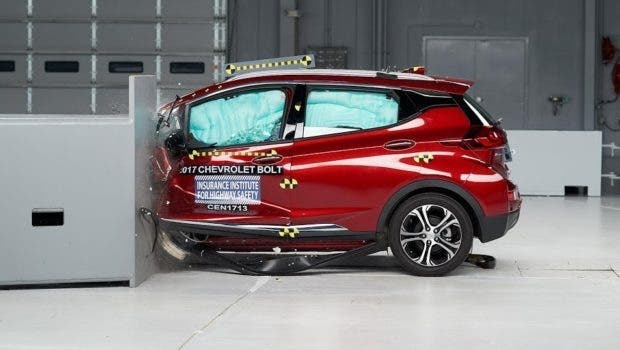 To the question “Do battery electric vehicles (BEV) have structurally better passenger safety than traditional gas cars?” the answer is complex. But, overall, yes. 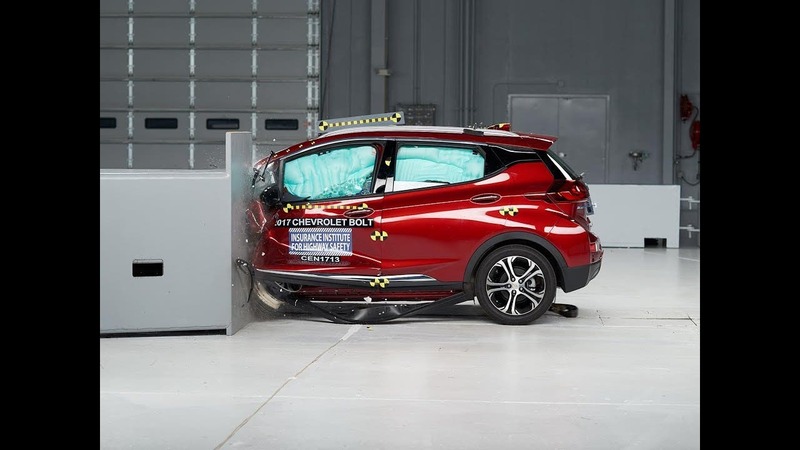 Most BEVs are structurally safer than conventional cars. Overall, they have fewer components needed to run the car, meaning less wear and tear and less space used within the infrastructure of the vehicle. This allows a rethink of some of the safety features we take for granted today and puts ICE cars at a disadvantage. There is little layout “elbow room” in an ICE drivetrain, but an electric car’s motor(s) can be placed in various locations (as indicated in part 1) and so can the batteries. For the purposes of this discussion, a BEV is a vehicle designed from the ground up to run completely on electricity stored in a battery, a vehicle with no onboard range extender systems. 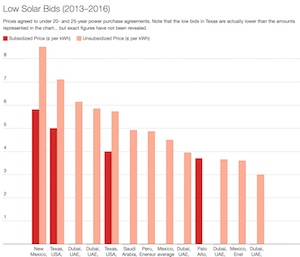 It is electric only and only uses electricity as its means of energy — period. We are talking about a Chevy Bolt, not a Chevy Volt; and a BMW i3, not a BMW i3 REx. 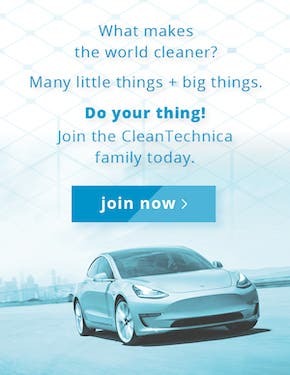 The reason in part is that, in this case, the space saved from not having internal combustion engines and related components is what makes EVs better. When you don’t have to pack that stuff in front of, behind, under, and around the driver and passengers, you have more freedom to protect them from various threats. In the US, the National Highway for Testing Safety Administration (NHTSA) shows that in 2016 there were 37,461 people killed in 34,436 motor vehicle crashes for an average of 102 deaths per day. Around 90% of those fatalities are “in-vehicle” casualties. Approximately 174,000 gas/diesel cars go up in smoke every year in the United States, according to the National Fire Protection Association (NFPA). EV fires have been almost nonexistent compared to the number of fires that occur in gasoline cars. 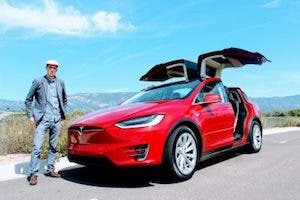 There was one fire death in a Tesla Model X recently — just one — and it resulted in numerous headlines and apparently an National Transportation Safety Board (NTSB) investigation. Indeed, even one death is a tragedy, but 1 vs. 37,461 is a big difference. 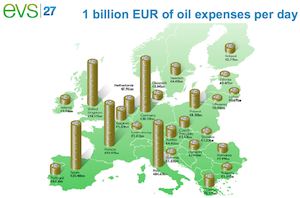 Furthermore, one or a few EV fires doesn’t compare to 500,000 gas/diesel car fires per year, even if we were to make the figures proportional to number of cars on the road. 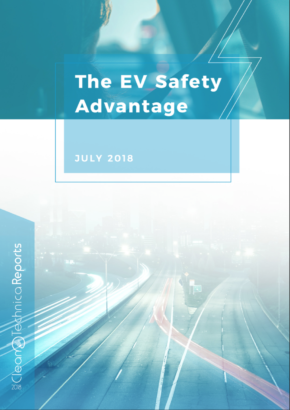 Notably, vehicle safety has been improving, and we see the results of that in fewer deaths per capita and per mile of travel, but EVs offer an even further improvement, and we’ll explain why. Sticking the bulk of a car’s powertrain under the car (as can be done with BEVs) opens up interior design space. 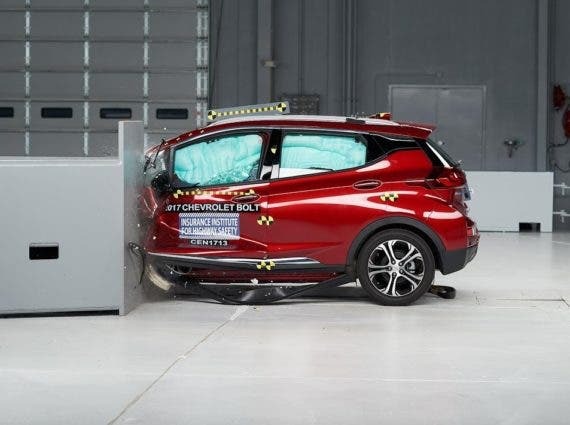 Electric cars — if designed well with this in mind — add a lot to key crumple zones. The most famous example of this is the frunk of the Tesla Model S and Model X. It is a trunk in the front of these vehicles where the engine would normally be. Aside from extra storage capacity, it is basically a large extra crumple zone. While not as large as the frunks in the Model S and Model X, some other electric cars have frunks as well. 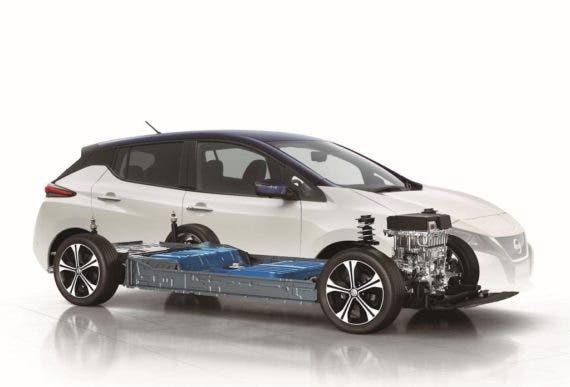 Even for those that don’t, the electric motors and other devices located under the hoods of electric cars almost never take up as much space as the engines of gasoline/diesel cars, thus resulting in more crumple space under the hood. Getting back to design freedom, it should be noted that batteries could be stuffed under hoods where engines are, but more logical and common is to stick the battery pack on the bottom of the car, leaving more empty space and carefully planned crumple zones into the front and back of the car at the height of the humans sitting inside. Of course, the lower center of gravity from sticking batteries under the floor of the car also improves handling and prevents rollover accidents, but that’s a topic we’ll come back to in a coming article.